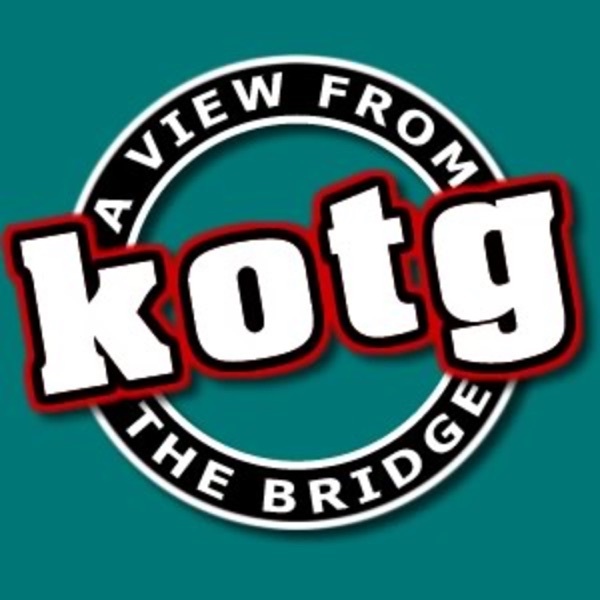 A View From The Bridge : Belfast Giants Official Podcast | Listen Free on Castbox. In the final A View From The Bridge of the season we join Patrick, Davy, Simon and Joel through the Playoff Finals weekend as the Giants took on the Flames and the Devils in hope of completing the full set of domestic trophies.With input from Blair Riley, Adam Keefe, Jonathan Ferland and Tyler Beskorowany the episode tries to give you a flavour of the weekend while also discussing the action on the ice.We take you to Bunkers to chat with fans and we hear behind the scenes from the likes of EIHL Media Manager, Luke Fisher.A massive thanks to Aaron Murphy, FreeSports, EIHL TV and all who endured our microphone being shoved in their face over the weekend.Also a massive thanks to all involved at KotG and AVFTB for this season's efforts.But mostly, thanks to the Belfast Giants for one EPIC season! In the second of two Elite League Championship winning special podcasts, the lads are joined by Head Coach Adam Keefe who answers YOUR Fan Agenda questions.We cast out eye over March's Player of the Month nominees.Reflect on the Giants Award night winners and predict who we think will make the Playoff Final Four in Nottingham.We also look ahead to this weekend and chat to Coventry Blaze Head Coach, Danny Stewart. The Belfast Giants are the Elite League Champions 2018-19!In the first of two special editions of A View From The Bridge we hear the reactions from the Belfast Giants themselves at the Crown Plaza on the night the championship was clinched.Davy, Simon, Joel and Patrick reflect on a remarkable weekend and discuss just how the title was won.Simon accuses Mark Garside of coming from Dundee.And Blair Riley has some words for Mr Simms.Join us for Part 2 TOMORROW, where Adam Keefe answers YOUR questions in The Fan Agenda, we look at the Playoff Match ups and chat with the Coventry Blaze Head Coach, Danny Stewart! In a very special edition of A View From The Bridge, Patrick, Davy Simon and Joel are joined by a whole host of guests to pay tribute to the remarkable career of Colin Shields.On the announcement of Shields impending retirement from the game, we hear from friends and family of the All Time Top Points Scorer for the Belfast Giants, Team GB and Elite League as we all reflect on one remarkable career.The lads do look back at the weekend's activity in domestic competition and discuss the permutations coming into the final weekend of the regular EIHL Season, as well as congratulating the Belfast Giants TV lads on the Sudden Death documentary and announcing a potential AVFTB Live.But the main focus of this very special show will be hearing from Colin Shields and asking what's next for the Giants and #19.A Massive thank you to Colin, the Belfast Giants, to all 11 guests who give us their time to talk of Shields and his career and to IHUK for use of some of their audio.We hope you enjoy it. The final weeks of the EIHL season are rapidly falling upon us. In a matter of 10 days the destination of the 2018-19 EIHL Title will be certain, but that team is yet to be determined. In this weeks A View From The Bridge we look back at a 4 point weekend against the Coventry Blaze, CEO of the Odyssey Trust, Robert Fitzpatrick answers YOUR questions on The Fan Agenda and we chat with Adam Keefe and Dustin Johner at training.Patrick, Davy and Simon look back at Stephen Murphy's magnificent performances against the Blaze and discuss whats in store for the Giants this weekend.The lads consider the playoff battle at the bottom of the table and consider the options for Pete Russell's Team GB ahead of the warm up games for the World Championships.Robert Fitzpatrick gives the answers to your questions and discusses the future of the Giants and more.We hear from Adam Keefe and Dustin Johner before Aaron Murphy marks our cards for the FreeSports Game of the Week. Your Belfast Giants have retained the Challenge Cup and become the first ever Giants team to retain a trophy (other than the "intu Cup") in the clubs almost 20 year history! In a special edition of AVFTB recorded through the day we look back at a scintillating victory in Cardiff.We have contributions from all your regular and not so regular AVFTB panelists, from Davy McGimpsey, Simon Kitchen, Joel Neill, Neil Russell and Mark Hitchcock as well as guests including Adam Keefe, Paul Dixon, Blair Riley, Kevin Raine, Josh Roach, Jordan Smotherman, Tyler Beskorowany, Colin Shields and many many many more.We do our best to capture the essense of one enjoyable day and one very enjoyable cup championship victory!With thanks to the Belfast Giants, Luke Fisher of EIHL Media and to Ice Time TV for aiding in this podcast. Following a pulsating and enthralling couple of games between the best in the EIHL, A View From The Bridge returns to pick at the bones of whatever is left from the battles that ensued between Belfast and Cardiff. Jordan Smotherman, Adam Keefe and Aaron Murphy also join the fun.Patrick, Davy and Simon discuss all the major talking points from around 123 minutes of action at the SSE Arena over the weekend. From Laptops to Paddle saves.Jordan Smotherman hops onto the show and gets stuck into YOUR questions as part of The Fan Agenda.Head Coach Adam Keefe reflects on where he's the Belfast Giants after the weekend and is in no doubt about what lies ahead.Free Sports Aaron Murphy previews Wednesday night's game in Fife which is the TV Game of the Week!The lads talk Pride, DOPS, Player of the Month contenders, Jon Pelle and a lot lot more! An eventful week for the Belfast Giants, 1 opponent, 2 victories in 3 games and progression to yet another Challenge Cup final. And topped off with Stephen Murphy's Testimonial festivities in the last few days. A View From The Bridge covers all of this and more as Giants Equipment Manager and all round Top Lad, Jason "Taff" Ellery joins the panel for this weeks show.Simon and Patrick are joined by Taff to ask what went right and what went wrong against the Clan.We hear from some of the many faces who made an appearance on Tuesday night for Murph's testimonial.The fellas look at the DOPS determinations of the week and the trials and tribulations in Milton Keynes.We get some great stories and an insight behind the locker room doors from Taff before previewing a HUGE weekend ahead against the Cardiff Devils.